Gaming testing laboratory and technical consultancy BMM International LLC, known as BMM Testlabs, says its business in Asia has grown by 20 percent over the past year. BMM Testlabs, a private company based in the United States, issued a written statement on Monday that said volumes grew in each of its main business lines: testing or support for online gaming, land-based gaming products and casino services. The statement didn’t clarify how the group defined volume. The statement also quoted Kirk White, Asia-Pacific and Africa executive vice-president and general manager. Mr White said the company would continue to support the Macao Polytechnic Institute, a Macau educational institution that incorporates a technical-training facility for the local industry. The company also said it would make a series of “substantial investments” in operations and staff that would include technology and tools. “Over the past year, we’ve not only acquired new clients but added more value to many of our existing clients,” Mr Storm was quoted as saying. “The industry is recognising BMM as the go-to test lab in the region to support their market delivery requirements,” he added. BMM Testlabs claims to be the world’s longest-established and most-experienced private independent gaming certification laboratories. 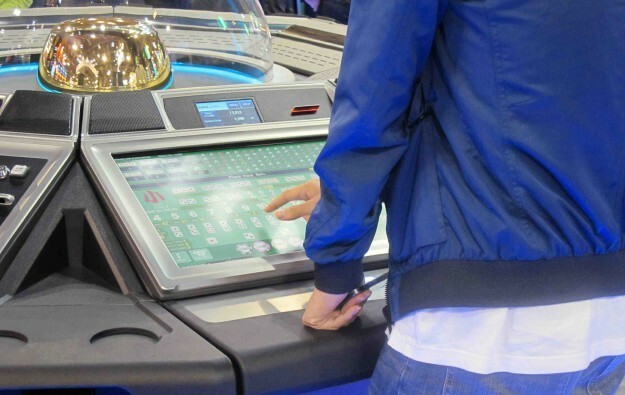 It says it has provided technical and regulatory compliance services to the gaming industry since 1981. BMM Testlabs serves more than 440 jurisdictions from 14 locations and has approximately 400 staff. The company’s headquarters are in Las Vegas, Nevada, and the group has offices in Macau and Singapore, and two Australian offices, one each in Sydney, New South Wales, and one in Melbourne, Victoria. Last May, Mr White told GGRAsia that the company was recruiting staff in the Asia-Pacific region, including former students of Macao Polytechnic Institute.